Early in 2007 BHW commenced an orphan care project in Kaishe (ZAM14a) and in the first year more than 100 orphans were sent to school. However, there are few opportunities for school leavers in the Kaishe area and a real need was seen for a Skills Training Centre to train these young people in practical skills that would enable them to support themselves. Riccarton Community Church in New Zealand partnered with the community of Kaishe to establish a Skills Training Centre. From 2008 until 2014 the Skills Training Centre offered courses in tailoring, bricklaying and carpentry. These courses have currently been placed on hold as the number of students was falling. There have been a number of people however who have benefitted from the trainings, with comments such as “now we have doors on houses, not just Chitengis (the local term for a ladies dress)”. • A bicycle repair shop providing good parts at a lower cost. The next nearest shop is over 90km away. This also helps to provide income to pay for wages at the Skills Centre. The materials and tools from the previous courses are currently being used by renting them out to past students to help them set up their own businesses. 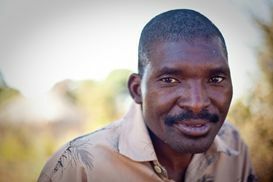 Charles Chibale has been working as an evangelist in this area for a number of years. As in many other areas, many orphans have come into the churches as members receive children from their extended families and as the number of orphans in the village increases. There is no infrastructure in the village communities to care for these children. BHW was approached in 2005 and in 2007 commenced funding of the orphan care project (ZAM14a). 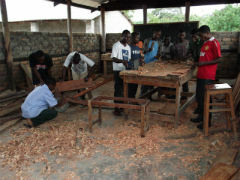 In 2007 a Skills Training Centre was built by the local community to assist with training the children who leave school. The training continued until 2014, with around 5 to 20 students in each course. 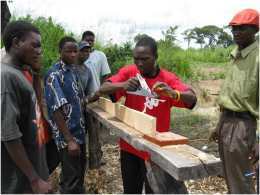 2009 saw additions to the Skills Centre with a new carpentry wing opened, and two dormitory blocks built by the community to house boarders who are coming to be trained. In 2011 the Skills Centre also started to run short courses for farming, extra lessons for primary school aged children, and adult literacy to teach some adults reading and writing in English. The community has not always been supportive of the Skills Centre with many jealousy and culture elements needing to be worked through, but as the Skills Centre has remained faithful the community has come to see the benefits. Another great part of the Skills Centre is how it has become the hub of the community. 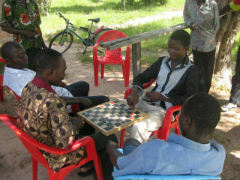 People come to buy small packs of agricultural inputs that have been purchased and split up into affordable sizes, and they now come to play games such as chess and drafts, rather than sitting next to the only road getting into trouble. The young people in the Kaishe community are the direct beneficiaries but obviously their extended families will also benefit as will the whole community as more young people are helped with their education and trained in farming skills that will help them become self-sufficient. There are two great aspects of this partnership. Charles is a good man, we have known him for a long time and he is an agent of change. There is also a good team of people leading this partnership from various churches. They have been trusting the Lord to provide in their community and are now experiencing the blessing of His provision. We also like the fact that this project will have a huge ongoing impact in the whole community as young people are helped in education and farming skills. Years ago Charles Chibale studied at Samfya Bible School and after graduation went into Christian ministry. He travels this area preaching and teaching. On many occasions he travels through into the DRC as the border is nearby. As he moved around the churches in the area he became aware of the issue of orphan care in the churches. There were too many children at Sunday School not going to school and not able to read or write. He therefore did something about it. He approached BHW after seeing a successful orphan care project not far from this community. He is a leader in the community, he is an agent of change and transformation. As well as heading up the orphan care project (ZAM14a) Charles is currently also the coordinator for the Skills Training Centre. The goal of the training centre is to remain the hub of the community, through providing practical help for people to become better educated. Farming is key in the area for people's survival, along with fishing in the local lakes, and focus is now shifting to the Foundations for Farming programmes to help increase yields. Being an evangelist at heart, Charles and the church board also use the Skills Centre as an opportunity to tell people about the love of Jesus.